There is a wonderful song from the musical, Mary Poppins, which I’m guessing most of you could sing along with. 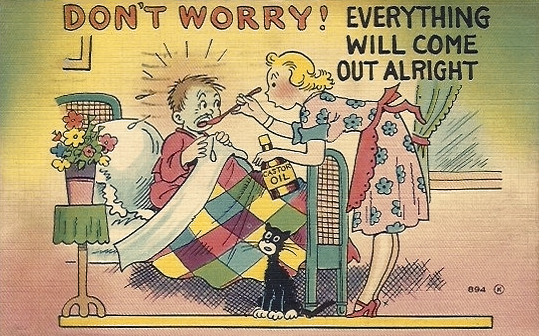 “Just a spoonful of sugar helps the medicine go down. In the most delightful way”. Wiktionary defines the phrase like this “Proverb – An otherwise unpleasant situation can be pleasant when a pleasant aspect is deliberately introduced. I like to think of it like this – If you put a positive spin on the difficult things we have to do in life and a positive spin on the things we know are good for us, like take our medicine. With that positive attitude you can accomplish those things much easier. And in the end you’ll be happier and all the better for it. So what has this got to do with funeral service? Well, I think that funeral service needs to put a little sugar with the medicine they want the public to take. Funeral service keeps preaching that to really recover from the loss of a loved one you need to have a service, preferably with a body present. Time and time again in trade publication articles and books endorsed by all the state and national funeral associations we hear the same story. All the funeral service endorsed doctors of sociology and psychology say that a traditional service is the correct “medicine” to cure people of the disease of grief and mourning. We have been told to go out and “educate the public” on the need for this medicine. We have been advised to ask the hard, probing and thought provoking questions in arrangement conferences about what will happen if the family doesn’t provide the “medicine” (service) for friends and relatives.We have been encouraged to use guilt as a motivator to convince people that they need to take/provide the “medicine” for everyone involved or else they will fail to heal properly. 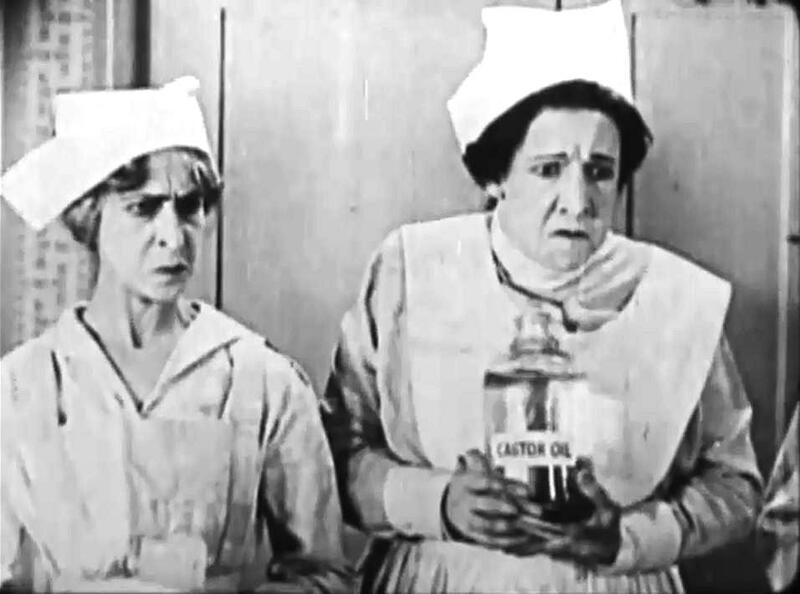 But this all reminds me of some old black & white movie of a tough old nurse forcing a spoonful of castor oil down a kid’s throat. “Take this. It’s good for you”. Wouldn’t it be better if we put a little sugar with that medicine? Wouldn’t it be better if we promoted funeral service from the more pleasant aspects of what happens during funerals and visitations? So what’s pleasant about funerals, you may ask? It’s pretty easy. We as, human beings, do it nearly everyday in dozens of different places. Gathering together with people and sharing stories. That’s it. Two things. Gather together and share stories. Meet and Talk. Isn’t that what you do when you go out to dinner with friends? Isn’t that what you do at parties? Isn’t that what you do at Church, at Rotary, at the Friday night fish-fry, at the family reunion? And when we meet and talk, we smile and laugh and remember. And in the end we usually feel good about it. Right? That’s exactly what happens at funerals and visitations. People gather together and share stories about their loved one. Happy stories, funny stories, sad stories, long forgotten stories, stories from the bible and family stories. We all know it’s a good visitation when the room is full of people and the noise level is up from all the talking. There is laughter and hugs along with the tears. It is through those stories we share our love and respect for that person and for the family. It’s through those stories that we celebrate a life. It is through those stories that the heart gets healed. The medicine that the people need is really in the stories that they hear and tell. So I think that funeral service needs to focus on those two things; Gathering People Together and Sharing Stories. Funeral service needs to promote the fact that we are experts in helping people gather together and share stories. People like to gather together and share stories. It’s a pleasant thing to think about. What’s a better marketing phrase to use “We make a hard time a little easier” or “Gather Together, Share the Stories, We help make it easier”? Yes, we help with people who are mourning and travelling through grief. But by using a little sugar – “let’s gather together and share the stories” – we can help the medicine go down so they can heal their heart. If we don’t get this right the public will continue to move away from funeral homes towards restaurants and clubs and backyards for their celebrations. The choice is ours to make. Thomas Lynch Does Not Speak for Me. Thomas Lynch does not speak for me. And if all of funeral service continues to hold him as the all-knowing wizard of funeral-land he may just lead everyone down the yellow brick road to nonexistence. We can’t go backwards. The almighty public has spoken and we need to listen to them, not the man behind the casket. At the NFDA 2013 Convention in Austin, TX last month, I attended a presentation by Thomas Lynch and Thomas Long. Lynch is a well-known funeral director and the author of the NY Times best seller book “The Undertaking”. Thomas G. Long is Bandy Professor of Preaching at Candler School of Theology, EmoryUniversity, and one of the most popular preachers in the United States today. They have co-written a book called “The Good Funeral” and this tag team presentation was basically a way to present their views and promote their book. The room was filled with over 1000 funeral directors who listened intently, erupting into applause and laughter at various jokes and phrases delivered by the two experienced presenters. The two Toms knew how to get their audience of believers going just like a good preacher or politician does. Their talking points were well rehearsed and the “bro-mance” between the two of them was very evident. Their message was basically this; Funerals that are solemn and contemplative affairs with a body present and in a casket are “Good Funerals”. Anything else is nothing but fluff and a waste of time. Period. End of Story. No middle ground. No acknowledgement that the way the world communicates has changed. No compromise. Just a desire to have things the way they were in 1969. They both spent the better part of an hour bashing anything that had to do with celebrating a life, uplifting stories about the deceased that focused accomplishments or good deeds, favorite music being played, tribute videos, personalization of any type, dove releases, photo collages, web sites, web casting of funerals, etc., etc., etc. According to them if it didn’t exist in 1969 (an arbitrary date that I picked) then it has no place in a “Good Funeral”. Well, maybe a new hearse is OK, but that’s about it. I don’t want to make this a personal attack. Both Toms are amazingly talented, successful, intelligent men. They are well spoken, well written, articulate and entertaining. They make you think, they make you laugh. They are passionate about their beliefs. But they don’t speak for me. And the reality is that they don’t speak for the majority of funeral consumers in the United States. And I don’t think they should be speaking for all of funeral service either. I believe: The true value of a funeral is the Gathering Together of People and the Sharing of Stories. Stories of love, memories, respect, and honor. We gather together because we, as human beings, need that contact and the emotional connection we get from being with one another. We gather together at happy times and sad times. We gather at births, graduations, weddings, anniversaries, retirements and deaths. We gather to worship, to praise, to celebrate and to mourn. And at every one of those gatherings…. we tell stories. It is through those stories that we heal and grow and love. It’s our job as funeral directors to make that Gathering easy, comfortable, meaningful and memorable for all who attend. It’s our job to help people tell their stories and help people hear the stories from friends and relatives. Gather Together…..Share the Stories…..Celebrate a Life…..Heal the Heart. It is not our job to dictate how they gather or why they gather or where they gather. It is not our job to dictate what stories they tell or how they tell their stories. Do you tell Catholics they need to have funerals like the Baptists? Do you tell the African-Americans they need to have funerals like the Amish? NO!!! Then why does funeral service think they can tell the Karaoke Crowd, or the Pig Roast in the back-yard crowd, or the balloon release crowd that what they are doing is WRONG. And that is what Thomas Lynch is preaching. He says that all of this new stuff is WRONG. Telling people they are wrong is not going to get you very far in business. Sure, funeral service will bring out their grief experts to say that viewing the body is a good thing and people who suffer from complicated grief didn’t view. They will use humorous clichés like “You can pay the shrink, you can pay the bartender, or you can pay the funeral director.” Or they will compare funeral directors to doctors that have to tell patients about cancer and the best course of treatment. But grief is not cancer and what about the 99% of people who didn’t choose the view the body and are doing just fine in their grief recovery. Where is the data on them? There isn’t any because there is no problem. The two Tom’s definition of a “Good Funeral” does exactly what I am saying. It gathers people together and they share stories. Maybe their gathering is somber and reflective. Maybe their stories come from the Bible. Maybe viewing the body is an important part of their story telling. I am honored to help them share their story in a way that fits their lifestyle, customs and beliefs. But if the family wants to gather in the back yard, with a karaoke machine and release balloons while singing Fred’s favorite song, they are not wrong. They are different from the two Toms. Yet, they are the same. Because they too, are gathering together and sharing stories which will help heal their heart. If I want to stay in business I am going to make sure I can provide the karaoke machine in addition to the church truck. I am going to make sure I can restore an old photograph with Photoshop just as well as I restore a 92 year old grandma’s body who spent the last two years in a nursing home. I am going to make sure my facility can be set up with chairs in neat rows one day and round tables with matching center pieces and wine bottles the next. My job is to help people Gather Together and Share the Stories. If I do that, they will heal on their own, in their own way, without me telling them what to do. What mortuary school students should be learning has been a topic at several of the funeral director meetings I have attended in the last few months. It has been a consensus that many of the students the folks have interviewed are less than desirable. Whether it’s appearance (visible tattoos are a big issue) or attitude about work schedule or a true misunderstanding of what funeral directors do. Finding good folks is just plain hard these days. I have also found that I don’t think that a lot of funeral home owners really understand what skills their new hires are going to need in the next 5 years. When I went to mortuary school over 20 years ago it was basically to learn what I needed to pass the national boards. Yes, I memorized terms and diseases and body parts. I got some practical experience in embalming but I really honed my skills learning from other funeral directors I worked with. Only about half of what I learned at mortuary school applied to the actual job I did. Now that I am in the position of hiring people, the skills that folks learn at mortuary school are just a small part of what they need to know in order for me to even consider hiring them. Technology, computers, writing and speaking skills are an absolute must. Whether you are fresh from mortuary school or an experienced funeral director the following skills are an absolute requirement. A competent understanding of word-processing, spreadsheet and presentation software programs and how they work together. Preferably Microsoft office programs Word, Excel & PowerPoint. This means you better know how to create from scratch a memorial folder, place a photo in it, change the fonts and basically make the thing look good. A total understanding of digital photos. How to upload, scan, send, download, transfer, copy, paste. And a basic understanding of how to clean up those photos using a Photoshop type program (healing brush, magnetic lasso tool, cloning tool to name a few). A real plus is the ability crop people out of photos smoothly and place them into a printed document. If you don’t know what a jpeg is I don’t even want to talk to you. This also means you should understand about dpi settings and different quality of photos. Someone with good Photoshop talents is just as valuable to me as a good embalmer and restorative artist. Over 50% of the folks that call me don’t want to see the body. But everyone that calls me potentially has a photo that we can enlarge, touch up, add to a collage or video. A complete understanding of iTunes and other music programs. How to create playlists, burn cd’s, rip mp3 files from existing cd’s, purchasing and downloading music off of the internet. Basic video camera skills. And understanding of pan, zoom and focus. Plus an understanding of how to get the video into a computer so a movie file or dvd can be created. The ability to create a slide show with music on a computer. The ability to write complete sentences, paragraphs and stories. If you can’t write a good obit you are useless to me. The willingness and ability to speak to a crowd, clearly and comfortably (yes this takes practice). Just practicing reading a story out loud to a small group of friends or employees will improve your skills at this. Then help each other deliver the story better than you did before. This practice will also improve your skills in the arrangement conference. These skills are on top of the standard stuff that funeral directors need to know. I see them as skills that are absolutely necessary for our future. There are many talented, wonderful, experienced funeral directors out there today that I would not hire because they don’t have these skills. And it doesn’t take a school to learn these skills. They can all be learned by purchasing some small training program and learning them on your own. It’s amazing what you can learn by reading the help menu in a program or typing a question in YouTube. That’s how I learned. If mortuary schools want to remain relevant they need to stop making students memorize chemistry they will never use and microbiology that doesn’t apply and teach them skills that will help them serve the 21st century public. This is a photo of one our flower carts. We use them to transport the flowers from the area in the building where the flowers are delivered to the visitation rooms and then on to the chapel for funerals. Then we use them again to transport the flowers back to the garage where the delivery van is so we can take the flowers where ever the family wants them delivered. 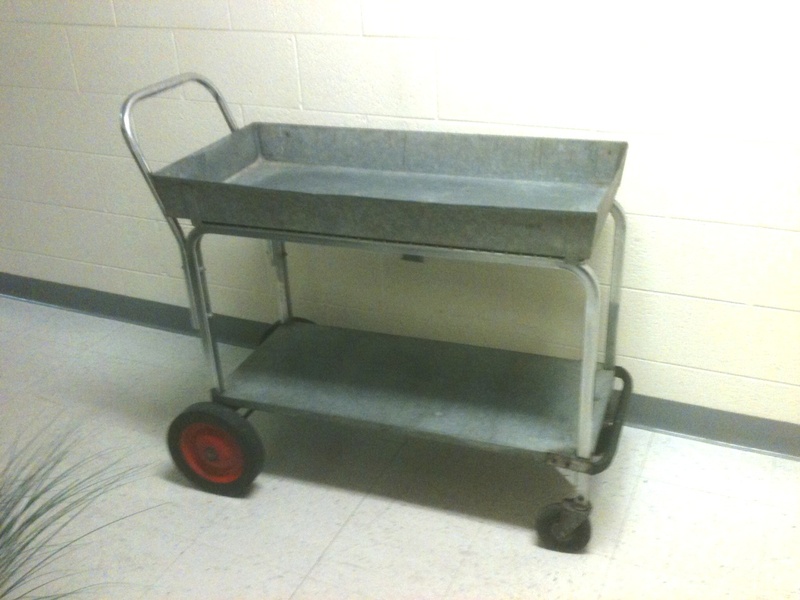 Handling flowers is still something we do all the time at the funeral home and I suspect most funeral homes have a cart like this in some shape or form. I have no idea where our carts came from but they look they were some type of standard cart and then customized to meet our specific needs. They are made out of steel, chrome and sheet metal. Very sturdy and have lasted over 60 years and I’m sure they have several decades of use left in them. I don’t ever remember the flower carts not being at the funeral home. I’m 55 years old and the house I grew up in was attached to the funeral home. I used to go through the flower room on my way to my elementary school every day. I never really thought about them much. They were just part of the scenery here at the funeral home. So why am I writing about them today. Well…Today I spent several hours cleaning them up. We have been doing some well needed painting around the funeral home. I hired my 20-something nephew who is in between jobs as a summer white water rafting guide and wintertime ski lift operator and another gal with some painting experience to get the jobs done in a timely manner. My wife picked out the colors and basically supervised the job. I have been busy still working on the house trying to get ready to move in (I’m way behind schedule and my wife is about ready to string me up the flagpole). I decided it was time for me to delegate everything and I let them handle the job and over all they have done a great job. Unfortunately they used the flower carts to move paint and equipment around the building and they spilled paint in the carts. Not a lot, but enough to make them look like crap and then the paint dried and it was crusty and nasty. They also didn’t clean the paint brushes very well and left the rollers wet with paint and wrapped in plastic bags so they could use them later when they got back to finishing the job. I know this is some trick that they saw in some remodeling magazine and years ago I might have done the same thing. But with age (and lots of mistakes) comes some wisdom. I learned some time ago, thanks to my former father-in-law, that if you treat your tools well they will last a long time and you will do a better job. It takes patience, time to set up and then time to clean up when you’re done. I do my best to follow his teachings. Sometimes I fail. I don’t put all the tools away if I’m in a hurry or I know I’ll be back at the job soon. But I have found that when I don’t clean up and put things away I always have a hard time finding my tools later when I really need them. OK …. you’ve all heard this before. So back to the flower carts. The flower carts symbolize my business and how I should take care of people. I could just look at them as something that’s only there for a short time. Use it and then throw it away because it’s easier to get a new one than to clean it and take care of it. But I realized that these carts have been around for over 60 years, doing a great job, in the public eye and very functional. If I had to replace them I would get a new and improved model. But they don’t need to be replaced yet. They just need to be taken care of. Maybe the folks that spilled the paint in them didn’t realize their history. They didn’t know how many jobs they had done so well over the years. Maybe the carts just looked old and utilitarian. I didn’t see them like that. I saw some old faithful tools (friends) that had been so helpful for a long time. So I spent a couple hours getting them back in shape. I’m glad I did. I’m sure they will return the favor and give me many more years of faithful service. Now if I could just find that pair of vice grips I used last week. Visitations are for visiting. It makes sense, doesn’t it? That’s why we call it a visitation. Someone dies and and the family schedules a visitation and their friends and other family members gather at the funeral home or at the church so they can talk to each other. They gather so they can show their respect. They gather so they can tell each other stories and help each other work through the loss of a loved one. That’s what’s supposed to happen. So why do so many funeral homes insist on putting every one in a long receiving line? You know the routine. You are greeted at the door by the LOL (little old lady) working the lobby. (Every funeral home has LOL’s working for them and they are usually wonderful people). The LOL then escorts you to the end of the line and you’re stuck. The family is somewhere down the line and even if you happen to see someone else you know, you don’t dare get out of line. Do funeral homes and families really think that this is the most effective way for everyone to visit. Or are they doing it because “That’s the way we’ve always done it”. I don’t know about you but I can’t stand receiving lines. They are long and boring. Receiving lines force me to talk to people I don’t know. They limit the number of people I do get to talk to, to just the people in front of me or the people in back of me in line and the family members at the head of the line. Very often when I go to a visitation I only know one or two members of the family. I may not have ever really known the deceased. But the receiving line forces me to wait for long periods of time to say a few comforting platitudes to people I will probably never see again. Yes, it serves a certain purpose. But wouldn’t that same purpose be met by stationing family members around the room so their friends can walk up to them directly. So they can spend a few meaningful minutes sharing the stories that show how much we care for each other. I also want the chance to talk to people other than the family. There are many times when I may have known a person that died but I didn’t know the family well. But I was a good friend of the deceased and we were part of a group together. I want the chance to share stories with other friends and members of that group. Because I too have lost someone that played a part of my life and I need to share stories to help me through my own personal loss. At Clock Funeral Home we hardly ever have receiving lines. Sometimes they do happen to form, but we purposely tell families to spread themselves around the visitation room. We also have multiple displays of the family’s personal memorabilia and photos at various location around the room. It’s all well lighted and easy to get to, just like at a museum or art gallery. This makes the visitors work the room. It makes them wander around and look at all the stuff. It makes them stop and view the video for awhile. The stuff reminds them of the things they remember about the deceased or their friends. And when the visitors get their chance to really talk to the family and friends the stuff they have seen is food for the conversations and stories that are so important at times like that. The true value of a funeral is the gathering together of people and the sharing of stories. Because it’s through those stories that we show our respect, honor, love and support for each other. It’s what we, as humans beings need. So if the funeral home you usually use keeps putting you in receiving lines that defeat the purpose of what visitations are meant for, next time let me help you gather together and share the stories. I promise you won’t get stuck in line. For some time now I have been disappointed in the comparative reports that the funeral trade publications and other funeral organizations have been producing for us funeral homes. The ones I’m talking about are the annual Federated Reports, The Funeral Insider survey results, NFDA surveys, SIFH Comparative reports, just to name a few. While all of the reports and the data they show can be helpful, they fail to show how the change in the mix of business (i.e. percentage of cremation and the percentage of what types of services provided) is really affecting the bottom line and the funeral industry as a whole. I think one of the main problems is that these reports average too many different types of services and geographical areas into one number. Let me try to explain. For years the “number” we all wanted to compare was average funeral sale based on casket and services. Sometimes the reports also threw in the vault sale too. This number was OK when we were all at 10%-20% cremation. But as my business has shifted to over 50% cremation that number is not as relevant as it used to be. For the last 15 years I have broken down my data by disposition (burial or cremation) and service type within each disposition. I break things down into multiple areas in those categories that are specific to the types of service we provide in our area. But I think on a national basis we can break things down into 5 different service types. Full Service – with or without visitation but always with the body present. Includes casket or rental casket, urn, printed materials, services, facilities and autos. Direct Cremation – No services and No visitation with the funeral home involved. I would throw out any trade calls, public assistance and children calls. We could nit-pick about regional variations but I think nearly every call can be put into one of these five categories. Now if a whole bunch of funeral homes were willing to submit sales data on each of their calls (not just yearly totals and averages) to a national database, then those numbers could be broken down and compared with other folks who have similar cremation percentages, different regions of the country or volume breakdowns. I know that’s asking a lot and there would need to be guaranteed confidentiality. But frankly, comparing my average sale to someone doing 20% cremation is of no value to me. We are not in the same business. I need to know how other folks around the country are doing in similar situations to me. It seems to me that a perfect place for this to happen would be through the major funeral home website providers. They are already hosting databases of obituaries for all of their clients. It would be easy to add another data entry screen for the sales figures for each of those calls. The data provided to their clients could be invaluable. That could also be a selling point for the website providers who claim that their web sites can increase market share and profits. Are you listening out there Funeralnet, FuneralOne, Tributes.com or even NFDA??? Last month my wife’s book was published. It is titled “Navigating the Eldercare Journey…Without Going Broke” and her name Is Jodi Clock. The book is a practical guide to help folks plan for and manage the challenges many people face as they reach the last years of their lives. It’s geared towards people going through this themselves and also for adult children who are helping their parents go through this. And there are a lot of baby boomers going through this stuff. What I like best about the book is that it follows the story of an aging couple, Russ & Yvonne, as they deal with end of life issues like Alzheimer’s, second marriages, blended families, inheritance, Medicaid, nursing homes and failing health. Each chapter tells a part of their story and then goes on to give specific advice for handling the situations they are going through. It makes for and easy read and you can easily see people that you know in the characters. It’s also organized so each chapter can stand on its own. So if a certain chapter doesn’t really apply to your situation you can find chapter that does. At the end of each chapter is a Family Care Plan that gives you a list of things to do to accomplish the goals described in the chapter. So who the heck is Jodi Clock and why should you listen to her? As a dutiful husband I have to listen to her. But I also want to listen to her because she has 25 years of working in the funeral pre-arrangement business, the last 10 of which has been with me here at Clock Life Story Funeral Home. She has talked with thousands of people and helped countless others preserve some of their assets while still qualifying for Medicaid and accomplishing the things they want to do. Jodi is one the most knowledgeable person in this field in the country. Jodi came to write this book through the encouragement of her publisher. The publisher and her friends had recently experienced many the same challenges and were frustrated that there was no place to go for solid advice. And luckily through some mutual friends Jodi came in contact with them and they told her she needed to write this book. So after many months, a couple name changes and lots a rewrites the book was published. I encourage you to give it a read. In his blog he encourages all of us in funeral service to focus on educating the public in all the practical aspects of Dying and to become the “go to” expert on all these matters. I’m sure that Jodi’s book is doing exactly that. Without a doubt we will be using it as a gift to give to many of the folks that call on us for advice. I’m guessing it could help alot of other folks in the funeral business.